Freedom Village at Holland provides a full range of choices for today’s seniors. Choosing a senior living community represents a lifestyle choice and we understand that our residents are choosing much more than a comfortable living environment to call home. Our Brookdale community promises Exceptional Experiences Every Day. In choosing this community, our residents have made a conscious lifestyle decision designed to deliver enhanced opportunities for pursuing health and life fulfillment through the exceptional services, amenities and opportunities we offer. At Freedom Village at Holland, Optimum Life® and Celebrations provide an all-encompassing way of life that touches our residents, their families and associates alike. Optimum Life® is a journey of self discovery including services, features and benefits that allow each resident to pursue their peak level of health, wholeness and fulfillment while balancing six key dimensions of personal wellness: emotional, intellectual, physical, social, spiritual and purposeful. As part of Optimum Life® we encourage our residents to celebrate life each day. Inspired dining and vibrant lifestyle activities come together in our Celebrations program, filling the monthly calendar with themed events. Residents of Brookdale Continuing Care Retirement Communities enjoy peace of mind knowing that opportunities for optimizing their health, wellness and convenience await them. 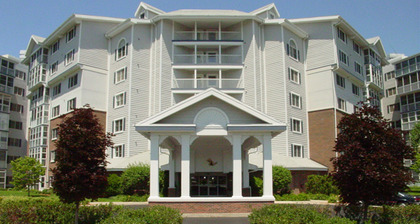 With Personalized Assisted Living, the Clare Bridge program for Alzheimer’s and dementia care, and Skilled Nursing care available as needs change, Brookdale Continuing Care Retirement Communities provide the lifestyles our residents want, the services they need and abundant opportunities to enjoy life in comfort, with convenience and style.